Please read below for credentials and bios of teaching staff. Tara Gast Calise - Miss Tara is well known in the town of North Kingstown, having taught dance in this community for many years. She has also taught dance in Coventry, Chariho, Cranston, Exeter and for the URI Dance Company. Dance has been her passion all of her life and she loves owning her own dance and fitness studio alongside her Personal Trainer husband, Anthony. Miss Tara has a B.S. in Exercise Science from the University of Rhode Island and has been a qualified member of Dance Educators of America since 2006. She has over 20 years of teaching experience in the dance styles of ballet, tap, jazz, lyrical, hip-hop, pointe and group exercise and has taught everyone from toddlers to older adults. Her most exciting experiences as a dancer have been performing in Walt Disney World twice and once on the Royal Caribbean Cruise Lines Explorer of the Seas. It was a dream come true when she took 32 dancers and their families to Walt Disney World in July of 2016 for a super fun performance opportunity! She is extremely close with her family, many of whom you will see working at the studio on certain occasions, such as her grandmother, Norma, mother-in-law, Evelyn, and mother, Carol. Miss Tara is extremely grateful for her students, staff and studio families. Her goal is to make Dynamic Dance Academy a warm and inviting studio for anyone who has a passion and love for dance like she does! Victoria Boulis - Miss Victoria has a Bachelor's Degree from Bryant University and a Master's Degree from Salve Regina University and is employed by Citizen's Bank. She grew up on Cape Cod and has been dancing since she was 5 years old. She has been teaching dance with Miss Tara for the past 10 years. Her upbeat attitude and amazing energy make her a popular instructor with the students. Miss Victoria and her husband, Nick, are the proud parents of young Bryant and Connor, both of whom can often be seen cheering on their mom's students at competitions and events! Rachael Ferentinos - Miss Rachael has been a student of Miss Tara's for the past 12 years. She has studied Ballet, Tap, Jazz, Lyrical, Hip-Hop, Pointe, Contemporary and is currently a member of our Competitive Team. She was a volunteer teacher assistant to Miss Tara and other teachers on the DDA staff for several years before being promoted to teacher. This will be Miss Rachael's first year as a solo teacher and she will also be a Senior at North Kingstown High School this fall! Chelsea Kearns - Miss Chelsea started her dance training at Michelle's L'ecole de Dance in Westerly, RI. She studied Ballet, Jazz, Modern and Lyrical. After graduation she enrolled at The Studio in Narragansett, RI, where her focus shifted to Classical Ballet. Chelsea studied the Vaganova syllabus with John White and Rose Marie Flachs in Pennsylvania and will be taking the Finis Jhung Teacher's Workshop during the summer of 2018. We are very excited to have Miss Chelsea join the staff of DDA this fall as a Ballet and Pointe instructor! Alison Miccolis - Miss Alison has been a student of Miss Tara's for the past 9 years. She has studied Ballet, Tap, Jazz, Lyrical, Hip-Hop and Contemporary. Miss Alison has been a member of our competitive Tap team and she performed with DDA in Walt Disney World during the summer of 2016. She was an assistant for our Saturday morning dance classes for several years and this will be her first year as a full member of the teaching staff. Miss Alison will be a Junior at North Kingstown High School this fall! 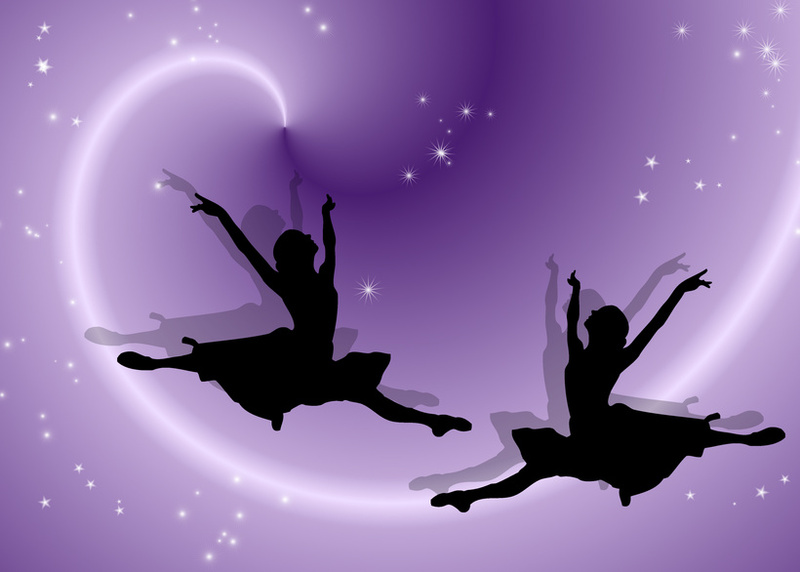 Lynn Miller - Ms. Lynn began her dance training with Bette Ann Monti Rossi at Atwood Performing Arts Center for 13 years. She also trained under the instruction of Herci Marsden at State Ballet of Rhode Island for five summers. She has competed nationally as well as internationally. In 2002 she placed fourth overall senior soloist at the International Dance Organization's show dance competition in Riesa Germany. She then went on to train at Point Park University's Conservatory for the Arts in Pittsburgh Pennsylvania. She spent two seasons as a dancer with the Pittsburgh Steelers for their fundraising events. She then went to Boston to earn her doctorate of optometry from the New England College of Optometry and practices optometry in Providence. Despite her busy schedule, this is Ms. Lynn's second year teaching at Dynamic Dance Academy! Nabby - Nabby is a professional dancehall dancer born and raised in Jamaica. He has been dancing for over 16 years. His experience in performing and teaching ranges from hip-hop, breakdancing, reggae, dancehall and Michael Jackson impersonation. While he was in Jamaica he taught classes, performed at hotels and danced as part of advertisements. He participated in a televised dance show (similar to American's Best Dance Crew) where his crew finished in the top 10. He has also competed individually in dancehall competitions. In 2017 he moved to the U.S. and he is very excited to share his passion and expertise in dancehall and other hip-hop styles with American students. He led a Master Class at DDA in February of 2018 where he taught dancehall and Michael Jackson's Thriller routine to the DDA students. 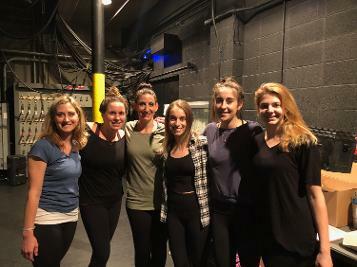 It was so much fun and we are very excited to have Nabby join the regular teaching staff of DDA for the fall of 2018! Heather Richardson - Miss Heather began dancing at the age of eight when her parents enrolled her at The Studio in Narragansett. She went on to study dance at Slippery Rock University in Pennsylvania, graduating in May 2012 with a BA in Dance. While at college she performed and choreographed for the Slippery Rock University Dance Team, the Jazz/Tap concert and the Senior Synthesis concerts. After graduation she stayed in the Pittsburgh area teaching a variety of styles, ages and levels at Richelle Lyn School of Dance. Miss Heather will begin teaching her second year at Dynamic Dance Academy in the fall! Lindsey Turgeon - Miss Lindsey just graduated from the University of Rhode Island with a degree in Criminology. She has been dancing since the age of 3 and starting competing at the age of 8. She competed all around New England and other areas of the United States, such as Nashville, Florida and Maryland. At the age of 16 she was 4th runner up in the Dance Idol competition during Nationals in Nashville. She also has been chosen as Travis Wall's Die Hard Dancer at Nuvo. Miss Lindsey still loves going to conventions to strengthen her skills. She teaches a variety of weekly classes at the studio and also is a talented choreographer for our competitive teams. This will be Miss Lindsey's fourth year as an instructor at DDA!